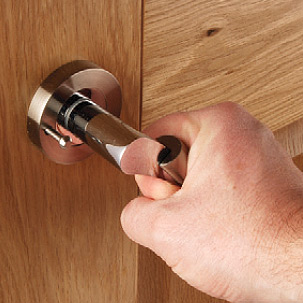 The Architectural Solid Brass Surface Door Bolt is the perfect solution for additional home security. This door bolt is made from solid brass. It has a polished brass finish. Each bolt is supplied with 3 optional keeps to allow the bolt to be fitted to either inward or outward opening pairs of doors. One of the most common uses for this bolt is outward opening conservatory doors.